In the next five years, factories will change more than they did in the last 50 years. A look at the Factory of the Future. Manex recognizes Manufacturing 4.0 or the Smart Factory for the inevitable force that it has become. We are entering the fourth industrial revolution thus the 4.0 moniker. It is not driven by a single force, but a combination of technologies, including sensors, algorithms, and robotics. In use for decades, but now at a low cost, with broad access, high speed, fine precision and now interconnectivity or internet of things (IoT) have opened the door to a new reality. Their synthesis is connecting all parts of manufacturing; people, processes, materials and creating far more than the sum of their constituent parts. However, we believe that this process in the small and medium-sized manufacturing space will be an evolution not a revolution. The first step will be the need to reconcile legacy, then digitize and then smart manufacturing. Computability – the ability to work on a problem within a computer rather than the physical world not only drives an increasing evolution of smartphones, digital assistants and self-driving cars, but is driving a new revolution in manufacturing. Computation will get smarter, faster and will forever change business models, distribution models and generate new types of value. Sensors, computers, robotics and material science will augment the following four basic actions when making anything. Compose – Better materials are brought together to make better things. We have always used physical tools to magnify our ability to shape objects. Now, digital fabrication will give us infinite expressibility. We can shape and place the right materials in the right places at the right time in the right ways, enhancing our craftsmanship. What is the Factory of the Future? 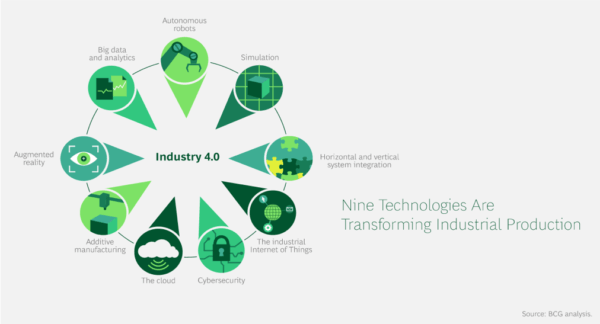 The Factory of the Future is a vision for how manufacturers should enhance production by making improvements in three dimensions: plant structure, plant digitization, and plant processes. What will the Factory of the Future look like? Lean: Automation is the ultimate realization of Lean. Automating requires Value Stream Mapping (VSM) and Lean to properly implement. Join us in this evolution that will become a revolution for California-based manufacturing companies. Let’s make the future happen and let’s be globally competitive. Call us today to discuss Manex’s Automation Services including Auto-Quotation and Online Ordering System and Digital Factory. Gene Russell is President and CEO of Manex and has over 30 years of senior executive strategic planning, operational management, and consulting experience in the manufacturing and technology sectors. With his extensive knowledge of manufacturing operations, he has developed and implemented key strategic initiatives for companies, allowing them to improve performance and achieve profitable growth. He can be reached at grussell@manexconsulting.com.